Since 2003, All Clean Carpet & Upholstery has been providing 24/7 emergency water damage restoration solutions and comprehensive carpet and upholstery cleaning services for homeowners and commercial businesses in the Winter Springs area. If you have been the unfortunate victim of water damage, our technicians are just a phone call away and are available to provide emergency service 24 hours a day, 7 days a week. Don't be the victim of shoddy work that can ruin your carpet by carpet cleaners who are not certified, nor insured, and utilize poor equipment and unproven methods. Our employees are certified by the IICRC and are all neatly uniformed professionals who have years of experience. All Clean utilizes the latest technology in truck-mounted equipment and can work with your insurance company to mitigate your water damage. Call us today and we will be there within the hour! No dispatch or answering service! Speak to an IICRC certified water damage expert no matter when you call! Water Damage crews currently located in Orlando for faster response times! In most cases, we can be there in less than an hour! All Clean can work with your insurance company to mitigate the water damage! Just leave it up to us! All Cleans water damage restoration and extraction rates are up to HALF of the franchise competitors! Powerful truck mounted equipment for faster water damage extractions! Commercial dehumidifiers and air movers for faster drying of any water damage areas! When you call All Clean Carpet & Upholstery, you will not get an answering service, but an IICRC-certified water/flood damage restoration expert - no matter what time of day. We will dispatch an emergency water damage crew that can be at your home or business within 60 minutes - we are there for you in real time with expert water damage repair advice and emergency water damage restoration crews ready to respond. All Clean knows that every successful water damage restoration begins with a water damage extraction. 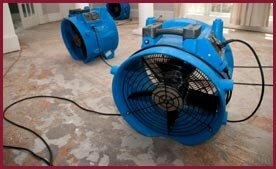 Our water damage restoration crews will work fast to remove all of the water in order to minimize any damage and then begin the drying process. Filing an insurance claim? Not to worry we can work with your insurance company and bill them directly! Fortunately in most water damage situations, your homeowner insurance will cover the cost of getting professional water/flood damage services to make sure you, your family and home are safe and the flood/water damage restoration is completed according to IICRC S500 standards. Water from frozen pipe floods are covered by homeowners insurance, as are water heater leaks, dishwasher, washing machines, sinks, bathtub overflow (even if the kids caused it), water from toilet overflow floods and many other types of water damage are authorized by homeowners insurance. Your air ducts serve a vital purpose in your home - after all, they are the pipes that deliver your cooling or heating to every room in your house. Unfortunately, your air ducts can also carry a lot of dirt, bacteria and sometimes even mold. Whether the furniture in your Orlando home or apartment is constantly suffering from a layer of dust or it is just too musty or moldy, let All Clean's air duct cleaning services get to work. Unlike most of our competitors, we use specialized equipment specifically for the cleaning of air ducts! Hear what our customers have to say about our services! 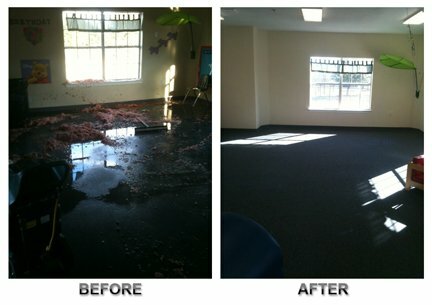 Contact All Clean Carpet & Upholstery today for 24/7 emergency water damage restoration service today! We also provide free estimates on our carpet, upholstery, tile, grout and air duct cleaning services!